A while back, I had an experience in a gift shop that really stuck in my mind. I was sitting on a bench outside of this gift shop waiting for my oldest child who was using a nearby restroom and I was gazing at what was going on inside the shop. I generally don’t go into gift shops that you find at museums or science centers or zoos, but I was curious and I had nothing else to do but wait for a few minutes, so I looked around what I could see of the shop from my bench. What I noticed was two women walking around the shop. One was perhaps my age, while the other was in her sixties or so. They definitely gave off a mother and daughter vibe. The daughter looked bored, like she wanted to just get out of the shop and leave. The mother, on the other hand, was constantly looking around the shop, wandering around, picking up stuff and examining it, asking her daughter what she thought of it (the daughter mostly just shrugged), and so on. She was clearly looking to buy something. When my son came back from the restroom, I gave one last glance to the two women in the shop. The mother had two items in her arms and was still looking around. The daughter still looked bored. I assume that the mother bought a few items while the daughter did not. As is often the case, when I see things like this, I file them away in my head to think about why that was happening and, often, to turn it into an article if I come to any interesting conclusions. What I thought about was how my family (as my wife and my daughter and my youngest son were already out at the car) had gone through the exhibit (it was a really nice exhibit at a national park) and had briefly glanced in the gift shop without buying anything at all (almost as a “what’s in this room? oh, a gift shop” thing). What was the difference? I think the big difference was that my family already had a bunch of souvenirs from the trip, so we really didn’t need or want any more. Here’s the interesting thing, though: almost all of the souvenirs that we collected on that family trip were free. In fact, the only ones I can think of that wasn’t free or extremely close to free were a few sweatshirts bought at Yellowstone because we happened to be there during an unseasonably cold period – we brought recommended clothes, but it was about 25 F cooler than normal and we were all freezing so we bought a few Yellowstone sweatshirts. Honestly, I had largely forgotten about that moment at the gift shop until just a few days ago when we were all looking at a few of our “souvenirs” from our Yellowstone trip and talking about it a bit. As we were looking at those items, those physical reminders of our trip, it occurred to me that most of them were either free or extremely close to it, yet those items were extremely evocative of our trip. In short, we didn’t need to buy tchotchkes from the gift shop to remember our family’s vacation. So, what kinds of things did we collect? What physical reminders did we bring home from our trip? Here are some of the things we actually collected on our trip that serve as wonderful memories without the credit card bill. This absolutely needs to be mentioned, first and foremost. Each member of our family had a travel journal that we took on the trip with us. During periods where we were in the car (or, in my case, often before bed), people worked on those travel journals, writing down little thoughts and memories and, more importantly, affixing little reminders of what we were doing to the pages. Our travel notebooks included many of the things that I’m going to describe below. We just stuck them right into our travel journals, attaching them to pages with tape or rubber cement. This was mixed with writing meant to remind us of things that we intended to remember from those days. The travel journals themselves are simple things – composition notebooks that were bought for pennies during back-to-school sales and then left unused. So, when we were out and about on our activities, we often looked for free things for our travel journals, things that would later remind us of our journey that we could easily stick in our journals. What kinds of things did we find? Most of the remaining items on this list work well in this regard. Photographs can be a great physical reminder of a particular place or activity. They’re a perfect $0.18 substitute for a souvenir postcard, which often costs $1 or more. Of course, not all postcards cost $1. I have been to many places where postcards were freely given away (because, frankly, if they’re sent in the mail, they’re a pretty sweet promotion for the place you’re visiting). If I see a free postcard, I’ll often snag it. One fun thing I like to do if I’m on a trip and waiting a few minutes is that I’ll fill out the postcard and send it to myself. I just highlight whatever I’m doing right at that moment, drop a stamp on it, and stick it in a mail slot. Then, I leave a page in that travel journal to affix the postcard, usually as a “flap” so that you can see both sides. Whenever we eat at a restaurant, we try to find some sort of physical reminder of that place. If they offer small pocket menus, those were almost always snagged. If not, then we often grab a napkin with the restaurant’s logo on it or a sticker from the waitstaff or something like that. These are perfect to stick in our travel journals, along with a quick note about the meal that we ate. For example, when I recently looked through my travel journal from our trip to Florida a few years ago, I found a pocket menu from an ice cream restaurant that served some very unusual ice cream flavors and I noted that I loved their lavender chocolate ice cream. I had completely forgot about that restaurant until I saw that menu, and then I immediately remembered that ice cream. It was a perfect physical souvenir and it was free. If you’re going to a major attraction – say, Disney World, for example – you’ll find that they give out brochures and maps of the location, and these are absolutely wonderful to affix into a travel journal with a bit of rubber cement on the back panel so you can fold them out later on. The same thing is true with national parks. They give out free maps and brochures at almost every national park and national monument, and these are perfect to slip into a travel journal and affix to a page. Similarly, many cities and towns have free maps available at the visitor’s center, which can be incredibly handy for finding your way around town on foot (I still prefer such maps to GPS when on foot, though you can’t beat GPS in a car). They often do a great job of highlighting many of the worthwhile attractions around town, and you can always highlight the ones that you actually visited by circling them on the map. I find that it’s fun to affix one of these types of maps to a page and then write some of my own thoughts about the attraction or the city on the facing page. It lets me see the map and pull up my own memories later, while also seeing my older reflections from a time when that event or location was very fresh in my mind. Whenever I go on a hike and spot an unusual tree, I snag a leaf from it. I usually try to identify the tree and then save that leaf for later attachment to my travel journal. The trick is to make sure you remember where you found the leaf and also to store it flat until you get home. I usually put them in an envelope or inside another document to help keep it flat until I get home. Hotel rooms often have pads of stationery in the room that include the hotel logo and, usually, the hotel address. I’ll often write a quick review of the hotel on one of those sheets, along with anything memorable that happened there, and then add that sheet to the travel journal later. It’s a nice little “before bed” routine if you’re in a hotel. It’s actually quite fun to stumble across pages of hotel stationery from particularly memorable hotel stops, like a particularly disastrous stop we had once at a hotel in Knoxville, TN that we still laugh about (imagine everything that can go wrong or weird in a hotel that doesn’t cause permanent damage to anything and you’re probably imagining something like our night at that hotel). My rant on that piece of hotel stationery is still fun to read, many years later. While it might be a challenge and a bit unnecessary to keep a full newspaper, it can be worthwhile to keep the logo and date of a particular issue, such as one you read at your hotel, or an article outlining an event that you attended or are going to attend. Many hotels provide free newspapers in the lobby (though free newspapers at your hotel room door are less frequent these days). Many cities also have free independent newspapers that you can find in many places, and those often include listings for interesting events to boot. It’s a great way to save a fairly unbiased reminder of an event that you attended that you can accent with your own thoughts if you wish. If your travels involve a concert or a sporting event, simply save the stub from that event and, again, add it to your travel journal. It’s a great little reminder of the event you attended, as it lists the event, the date, and the time. Ticket stubs are quite small and easy to attach in a travel journal, leaving plenty of space for a description of an event. As an aside, I have a close friend who basically only travels due to his fandom for the band Phish. He has a “Phish concert journal” that he keeps with all of his ticket stubs and a page or two of thoughts on each show – songs that were really good, people he met, and so on. It’s an incredibly cool item that really sums up both his travels and his fandom. 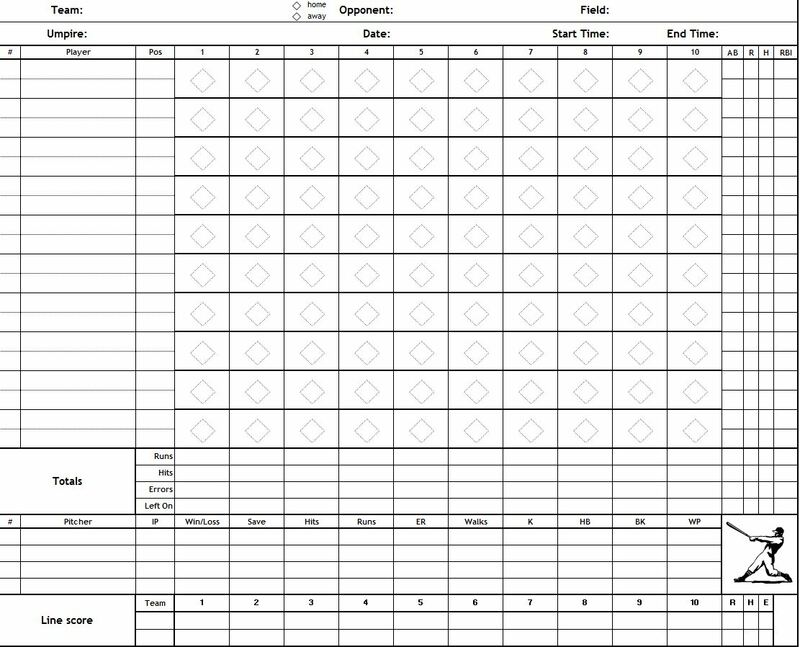 One thing I really enjoy doing at baseball games is keeping score the old fashioned way, with a scorecard or a score sheet. Here’s how you do that. I find that doing so helps me to focus on the game being played. I’m a lifelong baseball fan, so a scorecard is a really fun souvenir for me. You can print one out for free before you leave the house, or you can usually pick up a cheap one at the ballpark that’s designed for the team. If you’re a craft beer aficionado like me (or you enjoy wines or other beverages), saving the wrappers from those items can be a really great way to collect a memorable souvenir. I simply remove the label as carefully as I can from the bottle and, if necessary, allow it to dry off before storing it (ideally, I can get a dry label). My children have collected soda bottle labels. My wife and I have each snagged labels from wine bottles, too. I actually like putting these in my travel journal along with a one or two sentence review of whatever it was that I drank. If you find yourself along the seashore, collect a few seashells – they’re great for souvenirs. However, I suggest keeping a couple of things in mind. First, what are you going to do with the shells? If they’re just going to wind up in a box somewhere, forgotten, then take a picture of your collection at the beach and leave them there. Second, make sure they’re really clean if you keep them. Personally, I’m picky about the shells that I bring home. I’ll save perhaps one or two of the coolest shells, and those are intended to be added to one of our gardens for decoration in some tasteful (or not-so-tasteful) way. If I’m not sure I’m going to use it, I leave it at the beach. The same exact principle is true with rocks as with seashells. It’s fun to collect them if you see interesting rocks, but don’t bother bringing them home unless you’re sure you are going to actually use them in a decorative fashion. That doesn’t mean you can’t collect them during a walking trip, but simply take a picture of what you find if you’re not bringing them home and leave the rocks on site. Also, clean any rocks you’re going to keep as thoroughly as you can as soon as you can. Our garden has quite a few rocks collected over the years – our bright red rocks from the Arbuckle Mountains are my favorites. Whenever I happen to travel to another country, I like to try to find one of the least valuable coins used as currency in that country – that nation’s equivalent of the penny – and literally tape it into my travel journal. I make a game of it, as I actually prefer to find it on the ground, literally. Because of this, I have pesos and pence and other small coinage from a bunch of countries. Many places offer stickers and decals to children that visit and they’re often happy to hand them to adults, too. I still like affixing stickers to pages as extra decoration, usually followed by writing around the stickers. My daughter in particular likes to get lots of stickers when traveling, as she’ll use them to decorate her school notebooks for the coming year with stickers from places she’s been. She likes the idea of having a sticker from a place in New England or a place abroad on her school notebooks to remind her of the trip (and perhaps to show off a bit). While I’m not a big fan of cheap pens, they are a souvenir that you can often find in hotels and other places. I’ll usually grab one and add it to our “junk drawer,” so that it’ll not only serve a functional purpose in a pinch, but also serve as a reminder of a trip in the past. Quite often, when you’re traveling, you don’t have enough time to jot down lots of thoughts all the time. What I tend to do is just keep everything in a big envelope with a sheet of paper in it and then, on that paper, I add quick notes to remind me of what each item is and when I acquired it. That way, later on, when I have a lazy hour or two or when we return home, I can actually add the item to my travel journal and write thoughts at length. In fact, finishing off that travel journal is one thing I usually do in the next few days when I get back from a trip. If you picked up items that are intended to be used for decoration, like seashells or rocks or coins, find a good place for them sooner rather than later. If you don’t really have a place to display them, then consider just taking a few photos of the item and then disposing of the item appropriately. Just because you brought it home doesn’t mean you have to keep it. Another tip: I like to take quick notes as the day goes along in a pocket notebook when I’m traveling. I’ll note what I ate for lunch or what specific places we stopped at. Each note takes maybe fifteen seconds, but it later provides a timeline for me to expand on a little when I actually make my travel journal. In the end, the best souvenir I have from my trips is that finished travel journal. It’s usually an overstuffed thing, with lots of things attached to pages and lots of my own handwriting in between those items. There are few things I can even imagine wanting as a souvenir more than my travel journals. They’re just wonderful little embodiments of all of the little things that I loved about that trip, all in one nice package. The best part? It costs very little. The next time you go on a trip, make a travel journal for yourself. Collect things you might want to put in there and make notes along the way in a pocket notebook, then add details later on to your own satisfaction. Along the way, don’t be afraid to collect items for other purposes, too – seashells for your front garden, rocks for your back garden, ticket stubs and pictures to remember a great concert, whatever it might be. Just remember that a souvenir doesn’t have to be something that’s overpriced from a gift shop. Souvenirs can be found everywhere, and they rarely cost anything.